Both books are essentially memoirs of the time I spent in both countries, firstly as a young schoolboy in Malta in the early Sixties and then in Hong Kong in the late Sixties. Read the reviews for yourself. You do not have to have visited either country to enjoy the read. If you like history and geography with just a little bit of politics thrown in then I am sure you will enjoy reading them just as much as I enjoyed writing them. However, my first book was pure political satire and 'Your Country Needs You' was first published in 2008. The plot involved the Queen, tired of corrupt politicians, throwing out all elected MPs and replacing them with ordinary citizens selected at random by a computer. Needless to say the book was not a favourite on the Palace of Westminster bookshelves.The Establishment was appalled to the extent that that the book was banned from being advertised in Freemasonry Today. I was delighted! 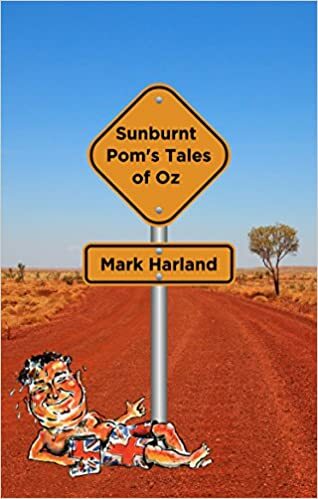 Two sequels soon followed, one with an American flavour, 'A Very Special Relationship' and one set entirely in Australia, 'Her Place in the Sun.' The latter gave rise to my nickname Down Under – The Sunburnt Pom!